The tradition originated in the US and has been adopted around the world. London: A British university has banned students from throwing their graduation hats, or mortar boards, up in the air over health and safety concerns, but in a “bargain” offered to add digital shots of the much-loved tradition afterwards for a price. University of East Anglia students have been sent instructions this week to instead mime the tradition so that the traditional shot of mortar boards up in the air can be digitally added later. 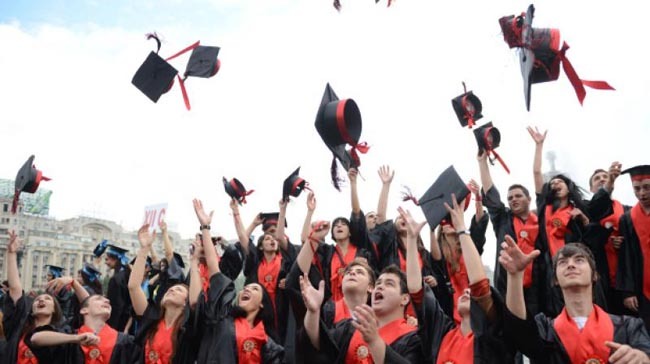 “The decision to not have the traditional ‘hat throwing’ photo opportunity for students this year follows a number of injuries over recent years to graduates hurt by falling mortar boards. We want to ensure no student’s graduation day is ruined by the potential for avoidable injury,” a spokesperson for the Norwich-based university said. Students at a number of UK universities are believed to have been similarly restricted from throwing of hats for fear of injury in recent months. An email from Penguin Photograph, who are commissioned for the Norwich institution’s upcoming graduation ceremonies, said: “We will be asking everyone to mime the throwing of their hats in the air and we will then Photoshop them in above the group before printing. The company said their offer to add in fake hats post-production was “a bargain” at an extra 8 pounds, and provided an example of a similarly doctored image from a recent ceremony at the University of Warwick.